Happy Hump Day my friends! 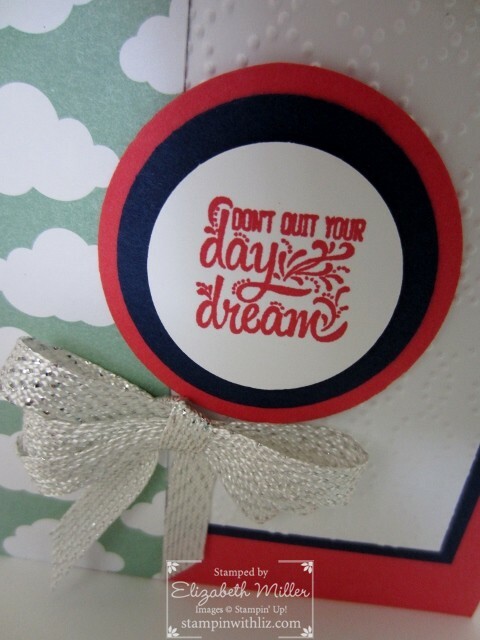 Today’s card features a few products that can be earned for FREE during Sale-a-Bration: Carried Away DSP and the 3/8″ Metallic Ribbon Combo Pack. Very easy to earn this stamp set or many other products that you can get for FREE, it’s simple – one free product for every $50 you spend (before tax and shipping). Here’s a close up of the stamped image.